In the early 2000s, Professor Anna Shternshis was conducting research for what would become a book on Yiddish culture and daily life in the Soviet Union during World War II. Her research took her to the Vernadsky National Library of Ukraine in Kiev, where a librarian showed her a collection of documents on Yiddish music that Soviet researchers had compiled in the 1940s. During the war, researchers from the Kiev “Cabinet” for Jewish culture had collected hundreds of songs from three groups of Jews: those who served in the Red Army, those who survived the war by fleeing to areas like Siberia and the Ural mountains, and Jews in Nazi-occupied Ukraine. “The existence of the archive is somewhat of a miracle,” said Shternshis, who is also the Director of the Anne Tanenbaum Centre for Jewish Studies at U of T. No one had thought the archives would have survived the antisemitic purges undertaken by Stalin in the early ’50s before his death, according to Shternshish. Shternshis joined forces with Dr. Pavel Lion, who performs under the stage name Psoy Korolenko, to remaster the songs and record them for a new album, Yiddish Glory, bringing new life to melodies that had been entombed since the war’s end. The Varsity spoke to Shternshis over email regarding the discovery of the archives and the work involved in the creation of Yiddish Glory. The Varsity: What were your first thoughts upon the discovery of these lost documents? Anna Shternshis: The original researchers died thinking their work was lost to history. But the documents were there, and they contained unique songs! Once I realized that, I was struck both by the magnitude of this finding and by the fact that all these songs told stories of people who we rarely get to hear from. In the context of writing history, we often hear people’s voices as ‘interpreted’ as opposed to given a platform. I was determined to do something about it. 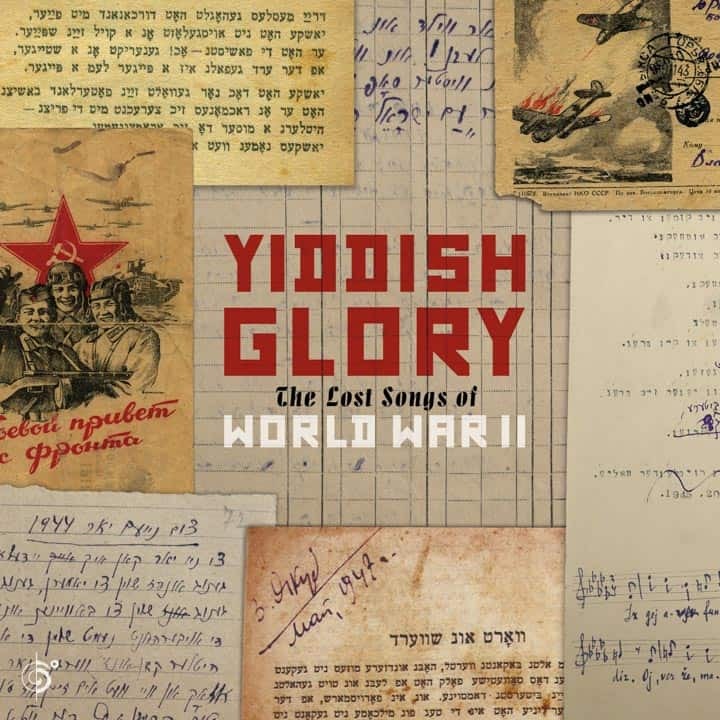 In many ways, these songs represented the range of experiences of Jews in the Soviet Union during the war: the stories of the 440,000 who served in the Red Army, the 1.4 million who managed to survive through a harrowing evacuation to the Soviet rear, and they also were actual testimonies of those who were killed in the Holocaust. Of the 6 million who were killed, more than 2.5 million Jews were murdered in Nazi-occupied parts of the Soviet Union, and we learned that some of the last things people did were writing songs to document the horrors they witnessed. TV: Besides creating the album, were any alternative usages for the documents proposed? AS: To be honest, choosing to do an album was not my first instinct. I wanted to publish a book, an academic monograph, maybe a website, and only then do some sort of multi-media. But I was planning a conference at U of T about Yiddish culture during World War II, and I asked Dr. Pavel Lion (better known by his artistic name, Psoy Korolenko), to help me with the presentation. We selected a few songs for Psoy to reconstruct. After that, Dan Rosenberg, a music producer who was at the event, encouraged us to record the songs with a larger group of musicians. TV: What were some of the challenges involved in adapting the music for contemporary audiences? AS: The biggest challenge was of course, that most of our listeners did not understand Yiddish. It was important for us to bring songs back to life, but we did not want to sacrifice Yiddish. The translations of songs are available in the booklet to help people make sense of what they are hearing. Another challenge was, ironically, associated with the fact that once people understood the lyrics, they had a lot of problems with the subject matter. Some of the songs are extremely violent, they glorify cruelty against the German army, they call for the complete destruction of the enemy. They do not fit with our modern sensibilities of warfare. Second, the songs praised Joseph Stalin, the Soviet leader and dictator, who was responsible for the Great Terror, for imprisoning and killing millions of people, including Jews themselves, the ones who sang, composed and collected these songs. Finally, we were working on these songs in Canada, a country quite far from Ukraine, where these songs were first composed. But addressing these challenges was precisely the reason we did this project in the first place. The goal of Yiddish Glory was to give voice to people who managed to compose and sing during the darkest parts of their lives, those who found strength to laugh at their enemy, to create music in the midst of violence. We thought that we owed it to their memory, and also to our own history to give them a voice, in the language that made sense to them at the time, and also make sure that their descendants understand why they chose to write these songs, and appreciate the choices that they had to make. TV: How do these songs challenge our understanding of the Soviet Jewish experience during the Holocaust? What new insights can be gained from this work? AS: One definite thing that we have learned from these materials is that Jews sang in Yiddish in the Soviet Union during the war, and that they forgot all about this decades later. During my work on a related project, on Jewish oral histories of Stalin’s Soviet Union, I interviewed almost 500 people from the generation of Soviet Jews born in the early 1920s, and not a single one of them could remember a Yiddish song depicting the war. This material means that history and memory tell different stories of the war. Without these materials we would not have known that.